And interestingly enough, having this experience brings up a lot of unprocessed emotions that you may not have known you were harboring. When we go through a painful experience, be it a breakup or even a job loss, or a major transition, we may experience delayed emotional responses to acknowledging this change or loss, and find ourselves experiencing an unwillingness to accept, or a block of understanding what is really happening to us in that moment. It is a natural fear of the unknown and resistance to change without knowing what's coming next. The unknown feels unfair. Delayed emotional responses can feel like watching a movie of our own lives. A rush of memories and personal discoveries flood the mind, movies play out of the past, and a realization sinks in, this is the past... not the present. The question to ask yourself, how much of the past have I been living in my present? What was, is not what is. There's no way around this, what's left is only acceptance.... after acceptance comes, what's next. This is the natural process of things. Delayed emotional responses, are how we deal and cope with change and loss. Emotions appear when we're ready to accept what is, and perhaps not a moment sooner. The rest is revealed to us as we walk the path, one step at a time, and continue to break open the barriers to more love and more joy in our life experience. Loss, disappointment, even failure and defeat can be powerful transformative forces in our lives as long as we process the wounding in a natural and healthy way. So what’s the deal with delayed emotional reaction, and why do we experience this, and what does it mean? Emotions are tricky and sly. If we’re not aware, they can take over our internal landscape like kudzu— that intensely roving green invasive weed that grows really fast and covers everything. Emotions can lurk in the shadows for decades and pop up in a moment while crossing the street and observing a woman slapping her child, all of a sudden you're crying on the way home in your car and when you arrive at the doorstep to your home you're not sure if you're going to blow the lock off and kill everything in sight or crawl on your hands and knees to your bedroom and never come out. We've also had the experience that “time heals all wounds” and I believe that’s partially true, time does give us emotional space and perspective, enough for us to calm down, get a grip on ourselves and come to some rational explanation for the thing that occurred, or we just put it into a very strong sturdy locked down box and never deal with it again. We call that “healing”, when really we've got some ticking time bombs and emotional landmines in our immediate personal proximity, just waiting, just waiting for someone or something to set us off! And then delayed emotional response that seems more dramatic than the current situation calls for. We’ve also had the experience of running into someone we haven’t seen in over a decade and all of a sudden we're ready to go to blows with them for no reason that we could articulate or remember. We find ourselves acting strange or childish and we hear things come out of our mouths and wonder- WHO IS THIS TALKING? These experiences all speak to having a wound that hasn't healed. When experiencing a delayed emotional response it can be shocking and unexpected. The good news is however, that if we are experiencing emotions that we were unaware of before this moment in time, we are now ready to process and heal. The natural process of coming to terms with a sudden change or unexpected loss can be difficult but ultimately rewarding. We move from emotional overwhelm, sadness, and regret, to release, relief, breakthrough, and then to compassion and self-love. Even in seemingly dormant times, we are in transition. Losses and gains are in constant play. We are the change-agent, and we are changed. Even without toil, we transform. So, wisdom advises us to open our hearts to transition; to honor fully what is passing, to learn from all that unfolds, and to welcome what arrives at our door each day with courage and curiosity. I learned teachable techniques that helped me to grow meaningful business which serves people around the world, and create a life filled with love, purpose, adventure, and miracles. The the same techniques I've used to create a beautiful life, I have taught to many people who then become fulfilled in their own lives life and relationships. 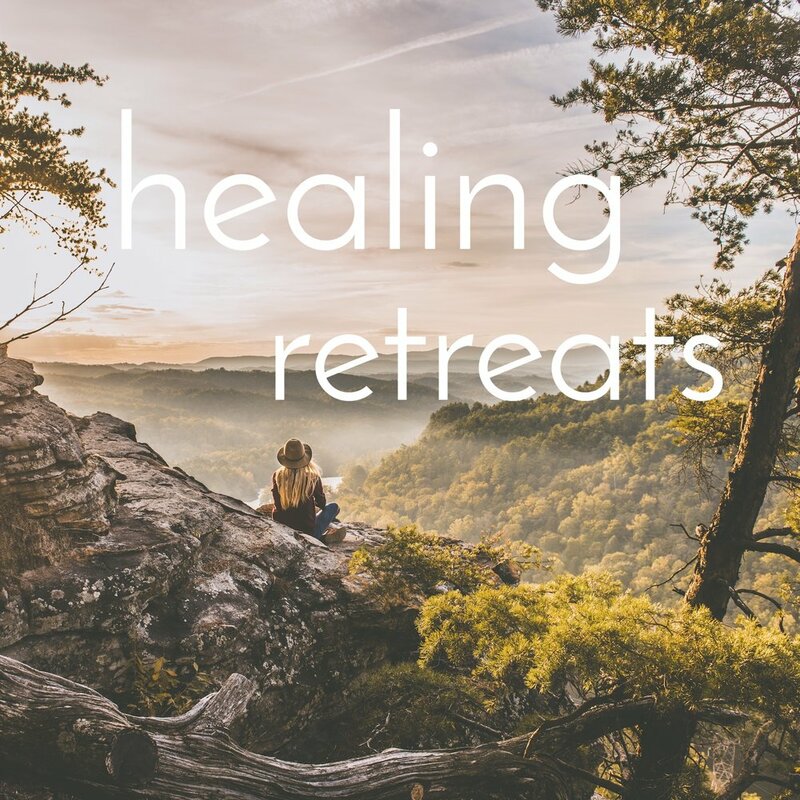 Whether you are considering making a life transition and don't know where to begin, or stuck in the same self-defeating patterns year after year, energy medicine techniques offer unparalleled results in creating lasting transformation. There are things I want you to know... I love you, I love you, I love you.